Rob and Ruchi Live . The Rob and Ruchi show leverages real world experiences of working with large, global organizations and combines the art and science of talent management to provide you with thought provoking dialogues and practical tips and strategies to help you create impactful training solution that will drive a more motivated and highly productive workforce. 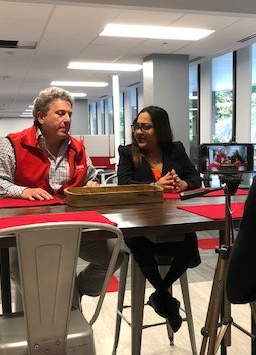 Rob and Ruchi Live features Advantexe’s CEO, Rob Brodo and Senior Instructional Designer, Ruchi Gupta. 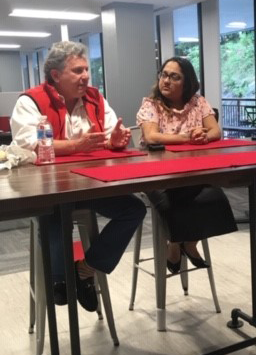 Rob brings over 20 years of talent development and business simulation experience and Ruchi provides insights based on her 10 years of experience in corporate leadership development and instructional design. Hosts Rob Brodo and Ruchi Gupta discuss the importance of Business Acumen, what it really is, and why these skills are essential to make better business decisions. Click on the image to view video.